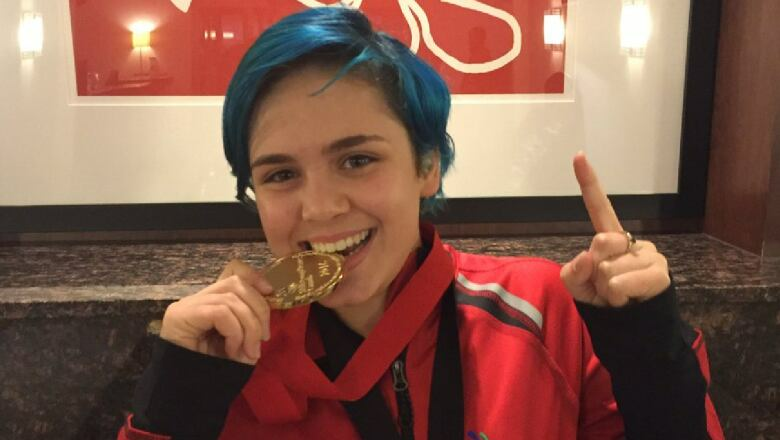 An aspiring graphic artist from Iqaluit brought home a gold medal from the Skills Canada National Competition in Moncton, N.B., this week. 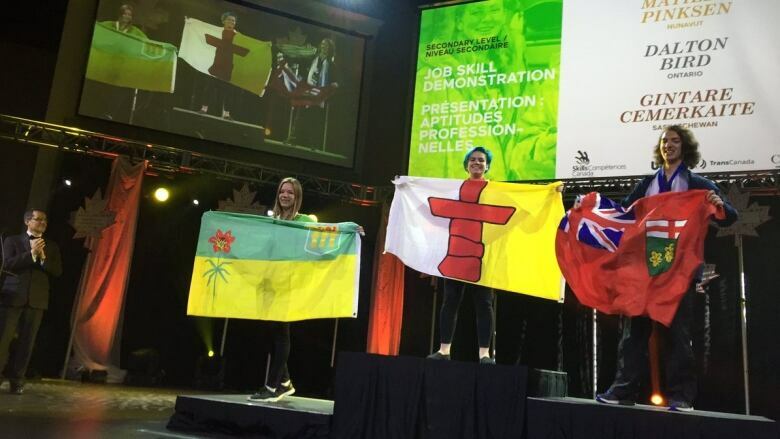 It's the first time Nunavut has received a gold medal since the territory began competing in the annual skills showcase. Matilda Pinksen, 17, won in the job demonstration category, presenting a step-by-step guide for designing a new logo for Nunavut Judo. Pinksen said Inuksuk High School's graphic design club, which is run by Skills Nunavut, opened her eyes to new possibilities. "Once I got into the course with Skills Nunavut, it showed me there was a whole new career path," she said. "I don't know if I'd be specifically doing logos. I might go into illustration which is a different path." Pinksen plans to start a two-year, pre-university program next year. After that she wants to go to either Algonquin College or OCAD University, formerly known as the Ontario College of Art and Design. Another Nunavut competitor, Chidinma Umenwofor, won a bronze prize for public speaking.